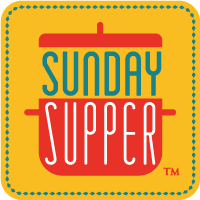 I was all over this theme for #SundaySupper this week. My mind started filling with all the ideas you could make in one pot. The cabbage roll casserole was my first idea. We have Stove Top Tuna Casserole. That’s an S creation. A mighty tasty one, too. Any number of soups and stews, slow cooker meals; they’re almost always one pot wonders. There’s chicken and rice dishes, chops with soup gravies and rice. The ideas are endless!! I LOVE LOVE LOVE one pot meals. Seriously. 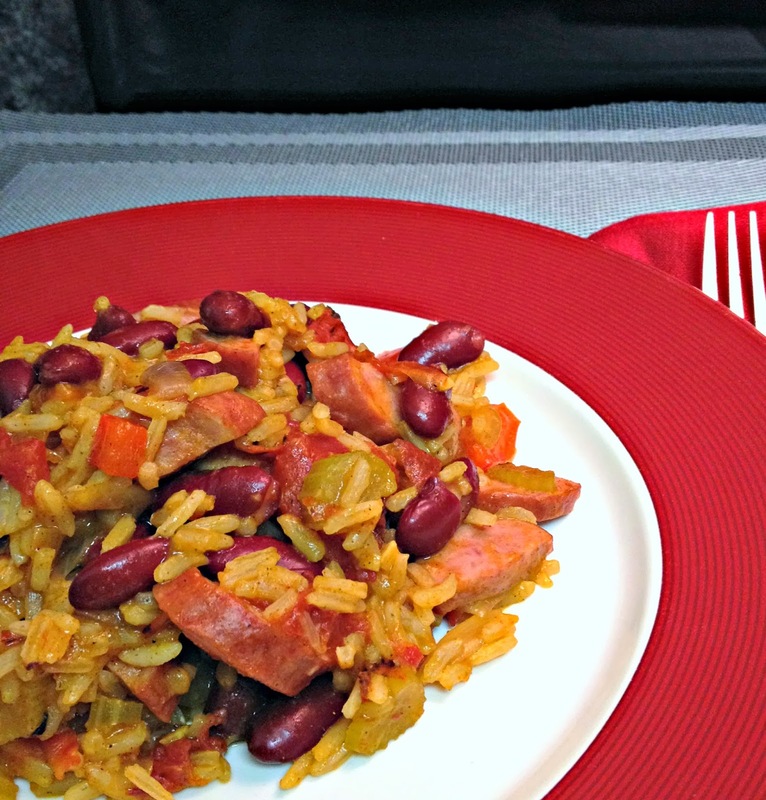 How good does this Quick One Pot Red Beans and Rice look?? I know!! 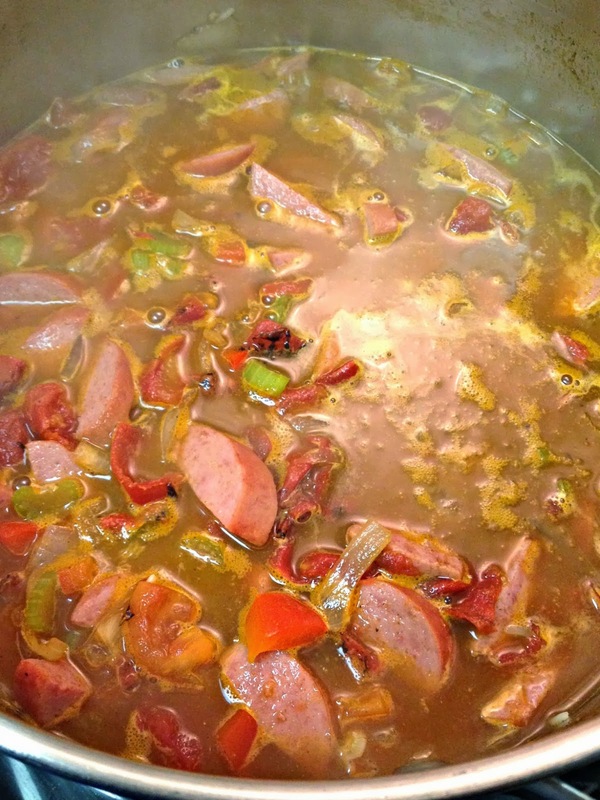 smoked sausage swimming with veggies in tasty broth with spices. YUM! They make weeknight dinners easy and tasty. That’s usually when I want the quick meals with few dishes. Our #SundaySuppers are usually meals we don’t have time to make on the weekends. BUT the weekdays? Almost always 45 minutes or less. There’s a few exceptions to the rule. That’s usually when my brain stops working and I forget to do some kind of prep work. Meh. It happens. I mean, I have the menu on the fridge. I TRY my hardest to remember to look at it each morning. Some weeks I remember everything we’re supposed to have every day we’re having it. Sometimes, not so much. Sometimes I forget to take the meat out of the freezer to thaw. Sometimes I forget to set the rice to cook in the AWESOMEST RICE COOKER EVER! And sometimes, I just forget to buy an important ingredient and we have to make something completely different. Sometimes I come up with the best meals when I have to drop back and punt. I didn’t have to with this dish. Almost all the items I had one hand. I simply needed to get some peppers and some sausage. Mmmmmmm smoked sausage. This is such a versatile ingredient. It can blend in mac and cheese, roast with veggies, saute with peppers, swim in soups. It is almost a staple in our fridge or freezer. Before I get off on another tangent, I shall leave you with my quick and easy red beans and rice. A hearty and delicious meal, this Quick One Pot Red Beans and Rice is a meal that comes together easily. And since it's cooked in one pot, your clean is easy, too! Heat a Dutch oven over medium-high heat. Add oil and swirl to coat. Sauté onions and garlic, stirring frequently, 3 to 5 minutes, or until onions are tender. Stir in the Cajun seasoning and sausage. Sauté until the sausage is brown. Stir in the canned tomatoes and chicken broth. Bring to a boil, reduce heat to a simmer, stir in basmati rice, and red beans. Simmer 15 to 20 minutes or until rice is tender. I love red beans and rice with any type of sausage. Your recipe is very straightforward and accessible. Thanks for sharing with The Clever Chicks! Forgetting to thaw meat is my trademark. Man is that annoying. Gotta love one pot dishes and dishes that you already have the majority of ingredients for. Thanks for linking your creation this week! One of my fave comfort foods! You had endless ideas, I almost couldn't think of one. My brain just insists on dirtying a lot of dishes. Hahaha! This looks excellent. I've never had red beans and rice but now I know why there's so much talk about it! That is definitely a bowl of comfort! Perfection and looks so easy with not many ingredients!! My family loves beans and rice, and this is a great recipe! I like the additional of kielbasa. Now that's a great dish. I love how jam-packed it looks! I've never eaten red beans and rice, but your beautiful photos make me wish I had some for dinner tonight! I love love love red beans and rice! I'm so going to make this veggie style with some field roast sausage! I love how quick this dish is and how flavor it is. I am such a Cajun over! I am bookmarking this recipe!